Sir Arthur Conan Doyle’s brilliant, eccentric detective Sherlock Holmes has been adapted numerous times in books, plays, movies, television, and comic books. One of the first graphic treatments of the character was by illustrator Leo O’Mealia during the 1930s. 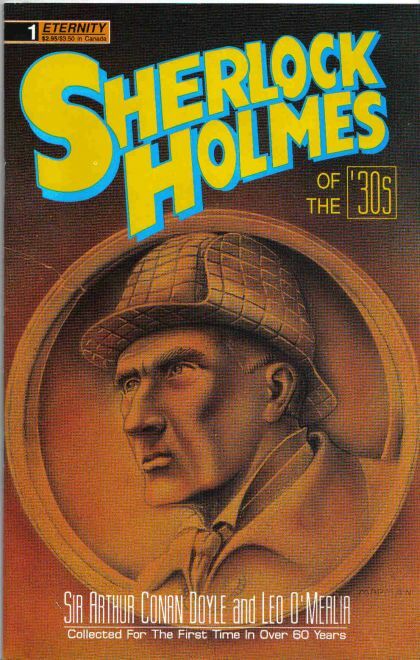 O’Mealia’s pulpbook, black-and-white, drypoint style was supplemented with blocks of typeset text from the actual Sherlock Holmes stories, making the strip more of an illustrated narrative than a comic strip per se. 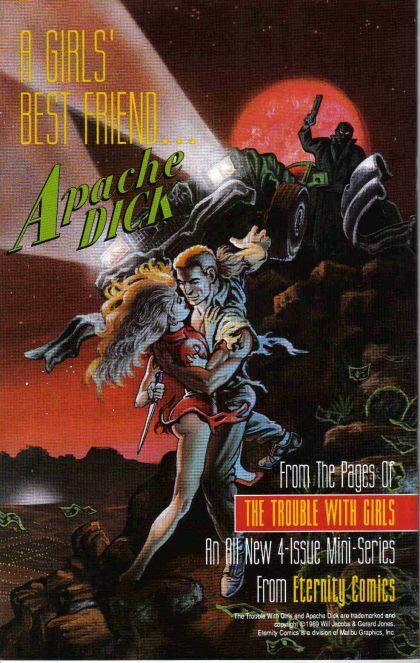 Eternity, a division of Malibu Comics, reprinted the stories in a series of seven, handsome, 32-page, black-and-white issues, with the participation of the San Francisco Academy of Comic Art. Each features a complete story of Holmes and his faithful friend Dr. Watson solving crimes through observation and deduction.